The Three Lions broke the penalty shootout curse to book their place in the World Cup quarter-final and will be heading into the matchup against Sweden in high spirits. 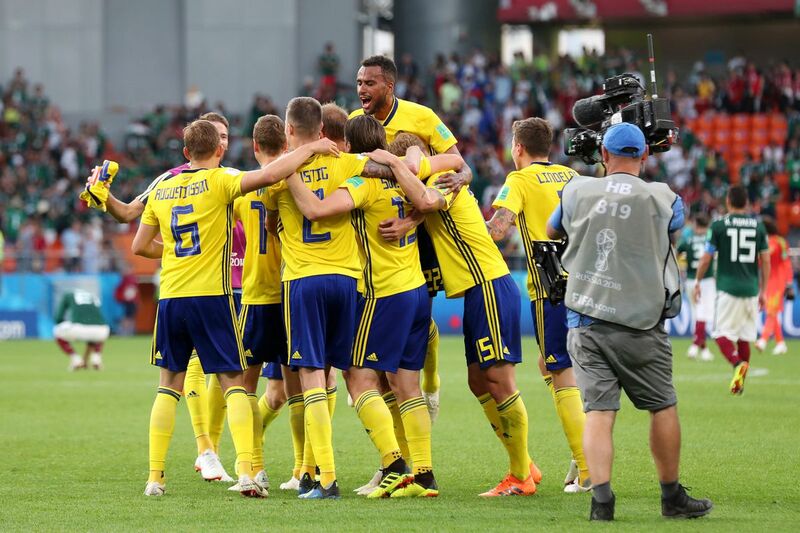 The atmosphere is equally positive in the opposite camp as Swedes prepare to go into their first World Cup quarterfinal appearance in last 24 years. Much of the focus in the build-up to the World Cup was placed on the fact Sweden will go to Russia without the iconic striker Zlatan Ibrahimovic. What was expected to be a hindrance for Janne Andersson turned out to be a blessing in disguise as it allowed Sweden to harness the individual talents and head into Russia as a well-oiled machine. Unity and team spirit is Sweden’s biggest strength in the World Cup as they prepare to play their first quarterfinals in last 24 years. Chronically underestimated at this tournament, Sweden have been grinding out results much to a delight of their manager who is doing a great job with his team. Sweden reached the World Cup quarterfinal thanks to a 1-0 win over dangerous Switzerland in the Round of 16. Sweden midfielder Emil Forsberg score the game’s only goal in the game which was his first in the tournament. Encouraged by their strong group showing and a tenacious win over Switzerland, Sweden are determined to continue their hard work and make a step forward in the competition hoping to (at least) replicate the third-place finish from 1994. Mikael Lustig will miss the England game through suspension. The Celtic right-back was booked for a pull on Switzerland’s Josip Drmic and will not be able to help his team against England. Bologna man Emil Krafth is expected to once again deputise for Lustig. ‘Football is Coming Home’ was the most used phrase in media outlets around the globe last week as England beat Colombia to book their place in the quarterfinals. The Three Lions survived a penalty shootout scare with Jordan Pickford saving one of the shots and the other hitting the upper bar of the goal frame to mark England’s first-ever World Cup penalty shootout victory. This is the first time England have reached the quarterfinals of the World Cup since 2006 and the excitement is reaching its peak. Gareth Southgate’s men have been given a favourable draw and have a realistic chance of progressing through but the Three Lions’ boss knows much better than to underestimate his rivals or let the complacency settle in ahead of this crucial clash. Southgate did well to combine his team during the tournament and deserves great praise for his selection choices. The inexperienced manager responded to Colombia’s physicality by deploying Harry Maguire, who put in a formidable display. Southgate could be forced to make several changes once again due to some injury concerns. Ashley Young has complained of an issue with his ankle and could once again be replaced by Danny Rose. Dele Alli was in the team against Colombia despite the thigh strain and could once again be strapped for the Sweden game. Jamie Vardy strained his groin against Colombia and remains a fitness doubt. Sweden might not be the most attractive side at the tournament but they are an organised, hard-working side England should not underestimate. The Three Lions are apparently enjoying a successful spell at the World Cup but matches against Belgium and Colombia, respectively, have revealed a couple of soft spots the Swedes might push to exploit.